Home insurance offers you the protection you need for times when unexpected tragedy strikes, but it can feel like such an unnecessary expense year after year if you’re not getting anything out of it. Nevertheless, it is not smart to get rid of it! Fortunately, there are steps you can take to reduce the cost of your insurance premiums to affordable levels. Look for ways to save before you make a commitment. Homeowners’ insurance will pay to rebuild your home if it’s destroyed, but it can also pay for many other things. For instance, it could also cover the medical bills of someone who got hurt on your property or repair a roof that was damaged in a bad storm. To get the right coverage, you need to know what things you do and do not need covered. For example, if your home has no risk of flooding, there’s not much sense in you paying for flood insurance. However, those who live in older homes may need to consider additional coverage. The typical insurance plan does not include older details like wide-planked floors and stained-glass windows. You probably already know you should shop around to get the best deal, but it’s time-consuming to go through the same set of questions with each insurance provider. Many people contact just a few of the top insurance companies and choose the cheapest one. When you work with an insurance broker like Mackay Insurance Brokers Inc., we do all of the hard work comparing policies for you. Carefully read through the things that your insurance does and doesn’t cover. This is the only way you can be sure that you’re comparing apples to apples when you look at different policies. It’s also a great way to find add-ons you don’t think you need or potential trouble areas. At Mackay Insurance, we know policies can be overwhelming. You don’t have to do this alone! We can help you prevent any negative insurance claim surprises, determine exactly what coverage you need, and find policies that meet those specific needs. The quickest way to decrease your premium costs is to increase the deductible on your plan. Sure, you might not want to spend $1,000 to meet the deductible when you need repairs, but many people find it an easy trade-off, especially when you consider how unlikely it is that you’ll file a claim. Ask to see how a higher deductible affects the annual premium before you make a decision. Insurance companies frequently offer a wide range of discounts. You might get a discount for working for a particular company, having good grades, belonging to a certain organization, having several smoke detectors in your home, or sticking with the same company year after year. Talk to us about which discounts you may be able to qualify for. If you get all of your insurance from one company, you may be able to get a discount. In addition to getting basic quotes for house insurance, ask about including auto or life insurance in the package. In many cases, the discount will be worth choosing the same company. However, you do need to take the time to compare plans separately as well. For instance, if you recently filed an auto insurance claim, the insurance rate will probably be lowest at the company that currently holds your policy, and bundling might not get you a good deal. Again, as your broker, Mackay Insurance can do the work of finding the best bundle for you. 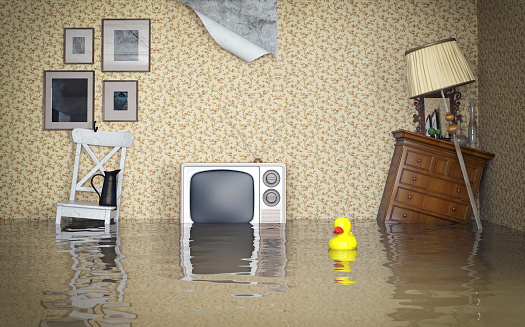 Insurance companies determine their premiums after analyzing the risk of damage to your home. If you’re in an older home, the outdated electrical system makes a fire more likely. By hiring an electrician to upgrade the system, you’ll be able to reduce the cost of your insurance. You’ll see similar reductions in home insurance premiums when you add safety features such as an alarm system or a bigger fence around the pool. Surprisingly, your credit score can also play a role in how much your house insurance costs. While you can’t do much about your credit score right now, improving it could mean you’ll get a better rate next year. Make sure you pay your bills on time, reduce the amount of debt you carry, and check your credit report for fraud. Your needs change, and your insurance coverage should change accordingly. Each year, make a plan to compare policy premiums from a few different companies and check whether you need more or less coverage. For instance, if you’ve added a pool or bought a play set for the kids, you’ll probably need to increase your coverage. If you quit smoking or filled in your in-ground pool, you may be able to reduce coverage. Rates can also increase or decrease based on things like neighborhood crime, changing weather patterns, or hitting retirement age. When you work with Mackay Insurance, we can make sure you’re covered and saving money according to your changing needs. A qualified insurance broker is the best person to advise you on reducing your insurance costs. He or she will be able to look at your specific policy and make some suggestions. This personalized advice will make a big difference in your situation. Mackay Insurance has been helping people find the right coverage for the best price since 1977. Let us make the insurance process stressless and affordable. Contact us to find out what your needs are and to help you compare your options.